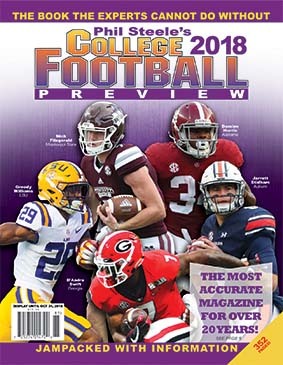 Save on two copies. 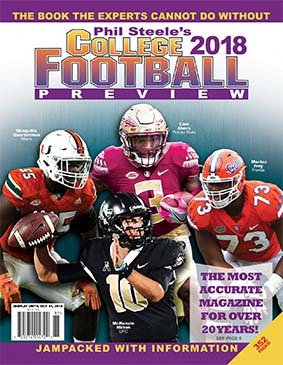 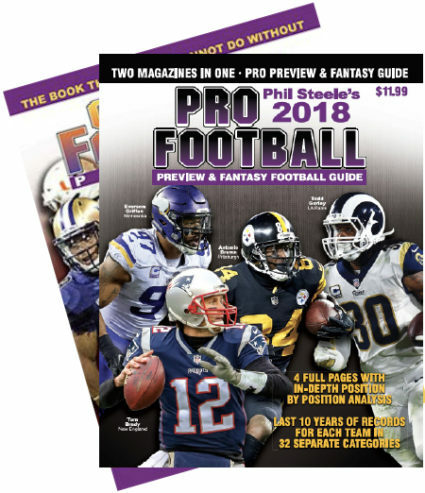 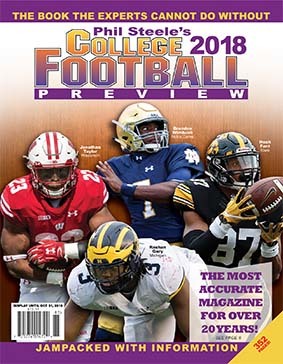 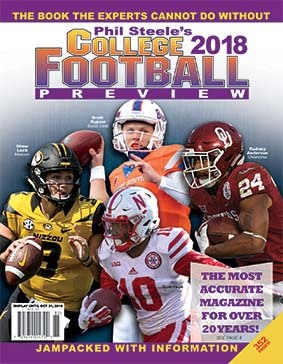 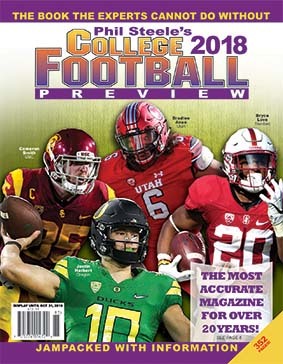 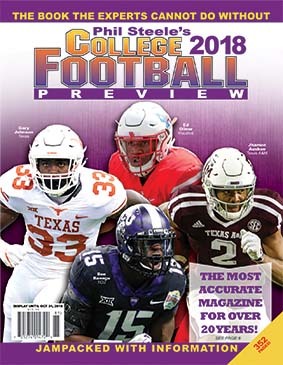 You will receive a copy of the 2018 Phil Steele’s Pro Preview and a copy of the 2018 Phil Steele’s College Preview. 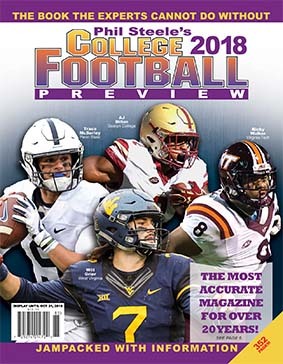 **Please note this would be two magazines. 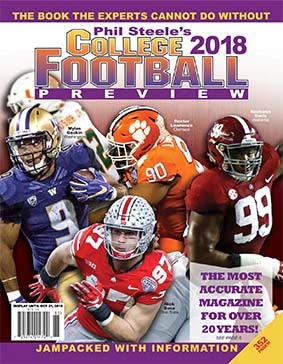 Please choose the College cover and both magazines will be shipped to the same address.